The scrappy adventure bike will start showing up at dealerships next month. 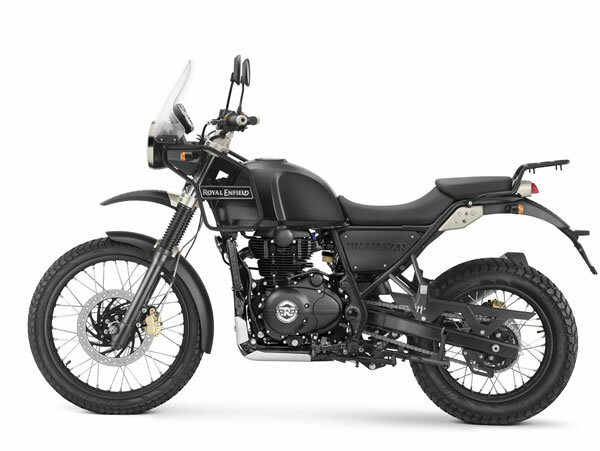 The Royal Enfield Himalayan, a scrappy middleweight adventure bike that we’ve been looking forward to, has officially launched in North America in two colors, Granite (black), and Snow (white). You won’t be able to buy one until April, but we have some new details we’ve been waiting for about the North American spec model. This is a new subcategory, indeed, especially for this region. 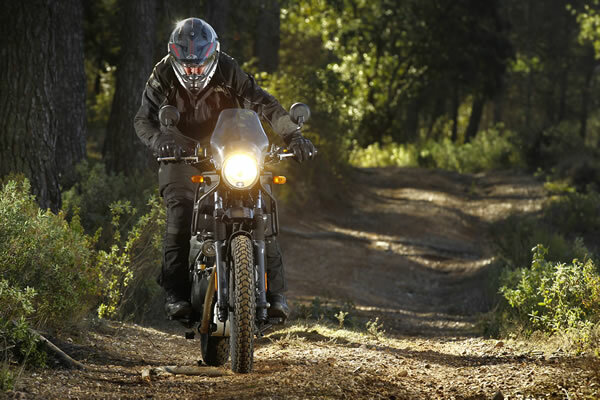 When you think of adventure bikes, you probably think of big bikes from premium brands like the BMW GS line or the Triumph Tiger. The Himalayan introduces the U.S. to something that doesn’t really exist here: An affordable, middleweight adventure bike. Granted, the Himalayan can’t match the performance or capability of its competitors, but it’s not intended to be the fastest, most rugged, or most high-tech adventure bike on the market. It’s made to be a capable middleweight bike that’s up for some off-road fun. We previously spoke with Royal Enfield North America president Rod Copes about the Himalayan and asked just how good it is off-road. “It’s pretty durable. You probably aren’t going to be taking 20-foot jumps with it,” said Copes. “With the low center of gravity and low-end torque, it can essentially get through anything. It was built and designed for the Himalayan mountains which are extreme in their own right." 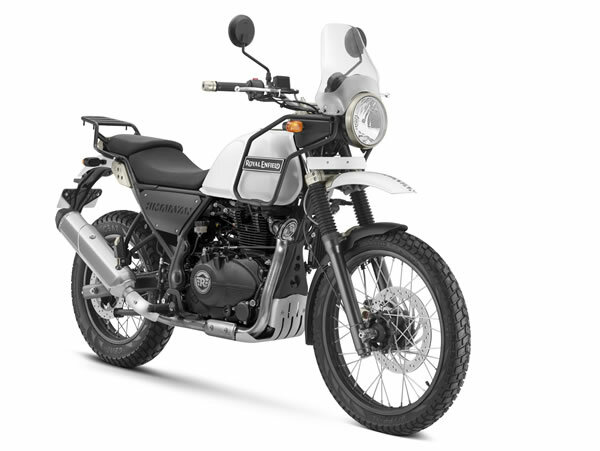 The Himalayan is built on a tough half-duplex split cradle frame riding on telescopic 41 millimeter front forks with 200 millimeters of travel. This is the first Royal Enfield ever with monoshocks rear suspension giving the rear wheel 180 millimeters of travel. It’s powered by a 411cc air-cooled, fuel-injected, single-cylinder SOHC engine. 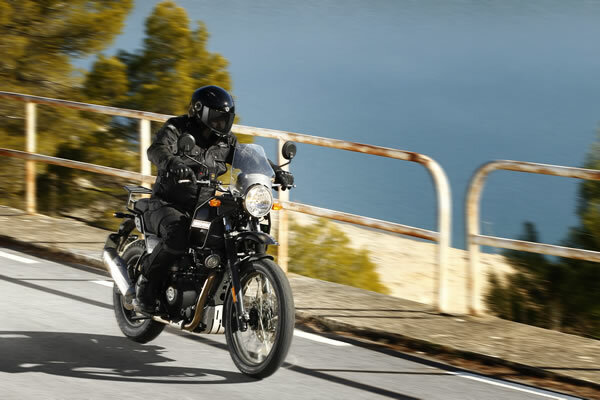 It’s good for 24.5 horsepower and 23.6 pound-feet of torque which doesn’t sound like much, but the bike’s curb weight is only 421 pounds so the engine’s modest output should be sufficient. 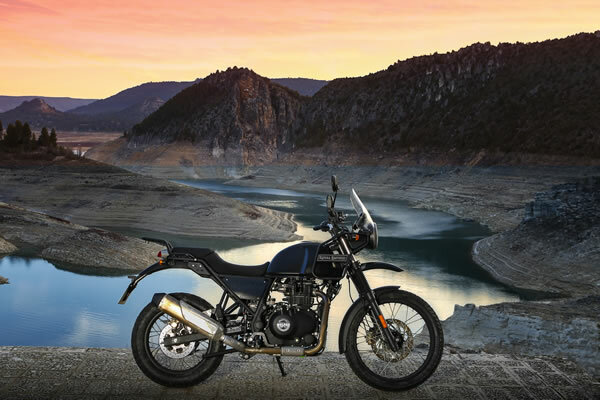 It’s not often that we see single-cylinder bikes designed for long adventures, but that’s another thing that sets the Himalayan apart from anything else available in the States. It has an impressive 250-mile range thanks to a four-gallon fuel tank. 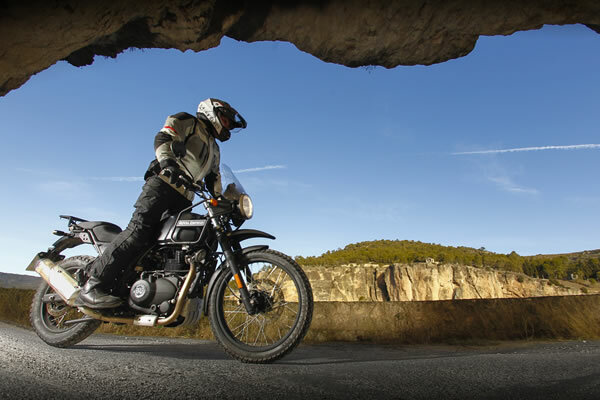 The upright riding position and tall windshield make it easy on the rider reducing fatigue on long voyages. 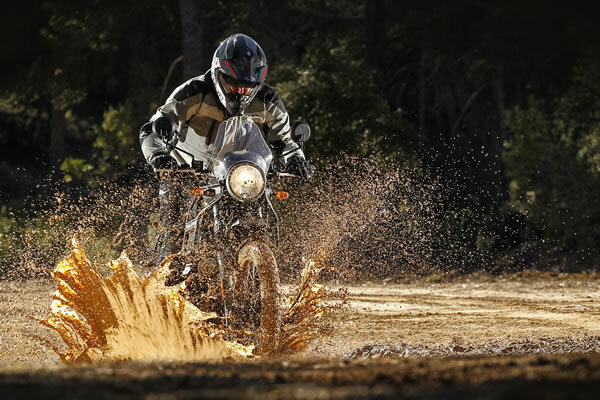 Whether you’re hitting the trails, commuting, or doing some light touring, the Royal Enfield Himalayan promises to be quite the versatile companion. 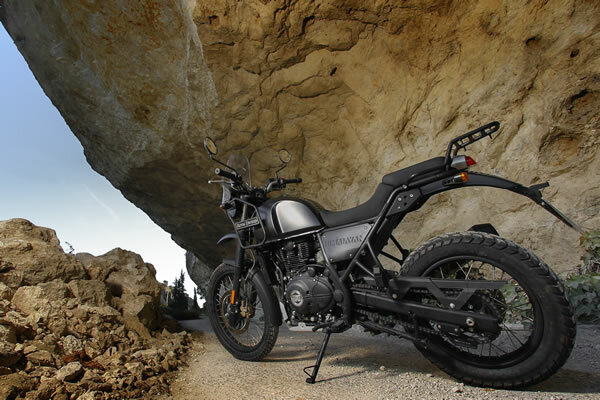 If you want one bike that serves multiple purposes and you don’t want to spend a fortune, look for the rugged Himalayan to start popping up in showrooms next month.